If you are using your jet less frequently now than when you first purchased it, you might be thinking of ways to reduce your ownership expenses. If you have a good management arrangement, either with the Chief Pilot/Director of Operations of your own flight department or with a well-respected management company, you probably have your expenses already reduced to the lowest costs possible without affecting the safety of your operation. So what else can you do? A sensible option is to put your aircraft to work, generating revenue when it sits idle. 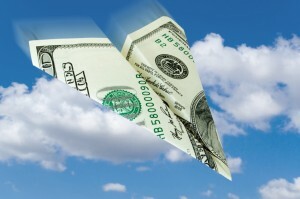 There are several ways you can generate revenue with your aircraft. Many aircraft owners will first consider letting their friends use the aircraft in exchange for payment. At first glance this is a quick and easy way to bring in revenue to offset fixed expenses – but, be careful. Federal Aviation Administration (FAA) and Internal Revenue Service codes and regulations prohibit providing an aircraft with pilots to a third party for compensation unless you have your own air carrier certificate. Most non-aviation tax and law professionals don’t understand the nuances of aviation regulations, so it’s best for you to consult with a tax and legal professional that specializes in aviation to keep from inadvertently violating regulations. One way you can legally generate revenue with your aircraft is by providing your aircraft to a third party, without fuel or crew, as a dry lease arrangement. Due to FAA commercial regulations, you can only accept payment for the use of the aircraft, and can’t provide a flight crew or fuel along with the aircraft. You’ll need a written dry lease agreement in place and there could be negative tax consequences, so its best to consult aviation-specific tax and legal professionals before you proceed. Be sure your aircraft manager submits the lease agreement to the FAA for acceptance and notifies your insurance provider. Dry leasing your aircraft now places “operational control” into the hands of the lessee while your aircraft is being operated by the third party, who should also consider the liability issues involved. Most aircraft owners prefer the simplest method of generating revenue with their aircraft – placing their aircraft onto a charter company’s Part 135 air carrier certificate. Contrary to what you might have heard, operating your aircraft on a charter certificate is actually quite simple and inexpensive. While there are some “super sized” management companies with inflated monthly and conformity fees, most charter operators are concerned with creating a fair structure that creates value for the aircraft owner and a mutual business benefit. Allowing a charter company to utilize your aircraft enables you to legally and safely earn charter revenue and reduce your own liability in the operation of your aircraft. Most importantly, the charter revenue earned may offset a significant portion, if not all, of your operating expenses. Chartering is the most convenient way for you as an aircraft owner to legally generate revenue because you can set the terms on how much charter revenue you want, and when you want the aircraft available for charter operations. Most dry lessees will expect to have the aircraft available at their convenience, while charter operators are more concerned about meeting the aircraft owner’s needs first. Chartering will allow you to maintain use of your aircraft while maximizing the utilization of revenue-earning flights on your aircraft. Desert Jet can help you earn revenue by placing your aircraft into dry lease or charter operations. Please contact us today to learn more at (760) 399-1000 or email us at info@desertjet.com.